Pump Up Your Workout with this Chrome Standard Weight Bar. Set yourself on the right track to full-body fitness with the Weider 6FT Chrome Bar. This versatile piece of fitness equipment can help turn your home gym into a veritable powerhouse, giving you the options you need to take your workout to the next level. 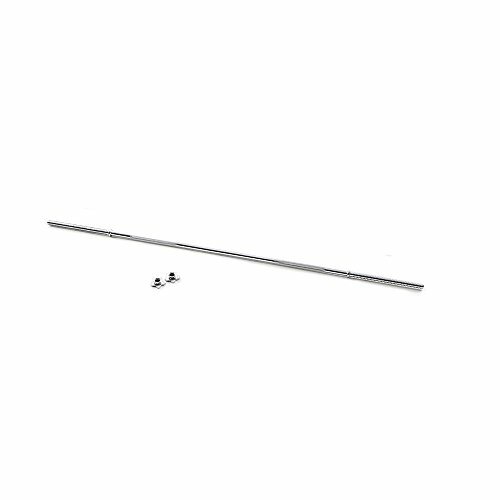 The 6 ft. chrome standard bar is threaded for use with standard 1" plates. Smooth ends and textured hand grips make the bar easy to grasp. Regardless of whether you're a fitness beginner or a seasoned weightlifting pro, you'll love working out with this bar.